When Disney purchased Lucasfilm, it wasn't long before they shook things up in a significant way: they officially declared that the old "Expanded Universe" of stories in comics, novels, video games and table top games was non-canon; it didn't officially happen in the continuity of Star Wars. Instead, they'd call it "Legends," and going forward, all TV, comics, novels, and films would be governed by the Story Group, a collection of Lucasfilm employees that would help maintain one official story across all media. 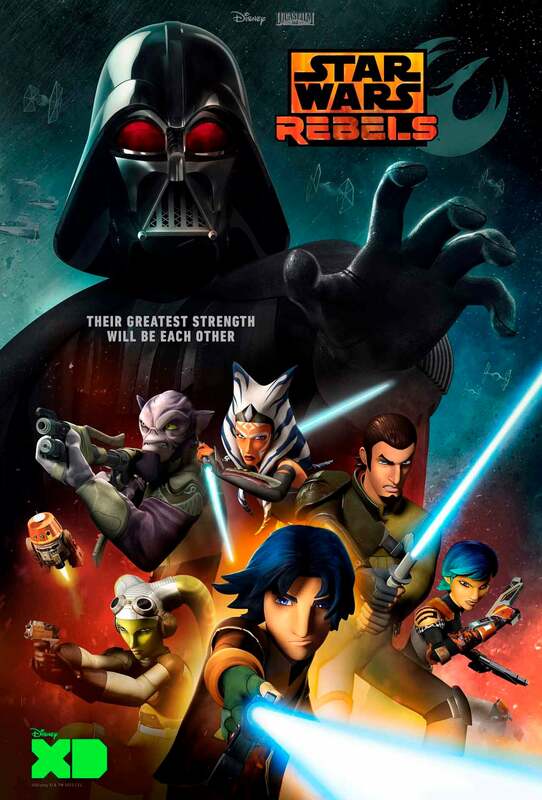 However, as time has gone on, the Legends worlds, characters, and stories have crept back into canon (or more accurately, into canon for the first time) with select stories, especially in the animated series Star Wars Rebels. As showrunner of both Star Wars animated series (Star Wars: The Clone Wars before this), Dave Filoni has worked closely with the Story Group on what Legends elements, from planets like Moraband to characters like Grand Admiral Thrawn and even events like the Jedi-Mandalorian War, can be integrated into the main continuity of Star Wars. "I think what you see in a lot of the work that I get to be involved with is that I have a tremendous respect for all the people that worked through that era," Filoni told ComicBook.com in an extended conversation about the Expanded Universe. "I felt like those storytellers were really able to keep Star Wars alive and very vivid for a bunch of people, myself included. I don't think you can ever take anything away from that effort. I would never frankly, personally, try to marginalize it. A lot of it is very good. I didn't read everything. I don't know it in detail as some of the fans do, and so that's why I would hesitate to say that I'm this mega EU fan. I just have a tremendous respect for it all, and I have a tremendous respect for the fact that people love it. I knew, many of us did inside Lucasfilm, how difficult it would be when we're saying, 'Okay, these are now Legends regardless of how much that makes sense.'" That difficulty stems mostly from a misunderstanding on what those old tales were ever meant to be. The terminology of "Expanded Universe" was a careful one; it expanded on the world created in the core stories, but was never officially meant to be Star Wars canon, according to the Maker himself, George Lucas. "For me and my training here at Lucasfilm, working with George, he and I always thought the Expanded Universe was just that. It was an expanded universe. Basically it's stories that are really fun and really exciting, but they're a view on Star Wars, not necessarily canon to him," Filoni explained. He worked extremely closely with George Lucas on Star Wars: The Clone Wars, taking Lucas's ideas and fleshing them out into six seasons (plus unproduced episodes, novels, and comics that expanded it). "That was the way it was from the day I walked into Lucasfilm with him all through Clone Wars, everything we worked on, he felt the Clone Wars series and his movies were what was actually the reality of it all, the canon," Filoni said, "then there was everything else. So it wasn't a big dynamic shift for me mentally when there was this big announcement saying the EU is now Legends. I'm like, 'Okay, well, it's kind of the same thing to me because that the way I work.' What George and I always used to do though is look at what was out there, and you would see characters like Ventress and go, 'My gosh, what a great character.' People love this character. He saw Aayla Secura; He puts her in the film. So there was this great collaborative way where you could take these ideas, but you have to always kind of apply the Star Wars Cinematic Universe of what the canon is to those characters when you translate them." That's the approach, then, that he's taken on both Star Wars: The Clone Wars and into Star Wars Rebels. 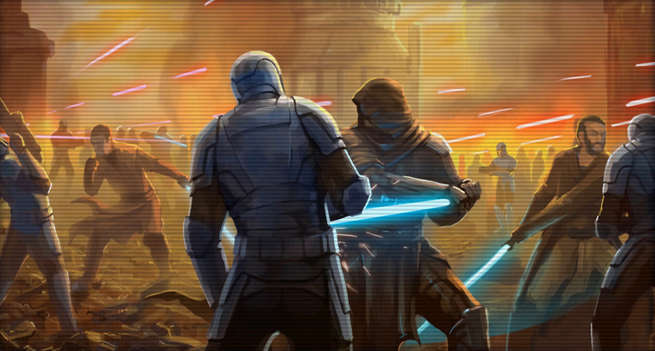 When developing a past for the Jedi and Mandalorians, it makes sense to reference the Mandalorian Wars from Star Wars: Knights of the Old Republic. When it's time for a major military leader in the Empire to plague the Rebels, it made more sense to pull in Thrawn than to make someone new. "Thrawn is a great example of that. I could've created a new admiral, right?" Filoni said. "But why, when there's such a fantastic character like Thrawn? As long as you can use that character the right way, the way they were intended, and you're not changing them, because if you're going to change them too much, then don't even bother. Leave that character alone until you can use them in a way that we're familiar with." Legends fans should expect that all to continue, too, and Filoni teased that more will be coming even in this season of Star Wars Rebels. "It's not always just characters. There's a couple other things as we go forward even that will pop up that people will see. Sometimes it's just vehicles or things that are reminiscent, again, because a lot of times guys from Lucasfilm designed stuff, and then it went into product into the EU. So why not use it? Making someone happy out there," Filoni teased. 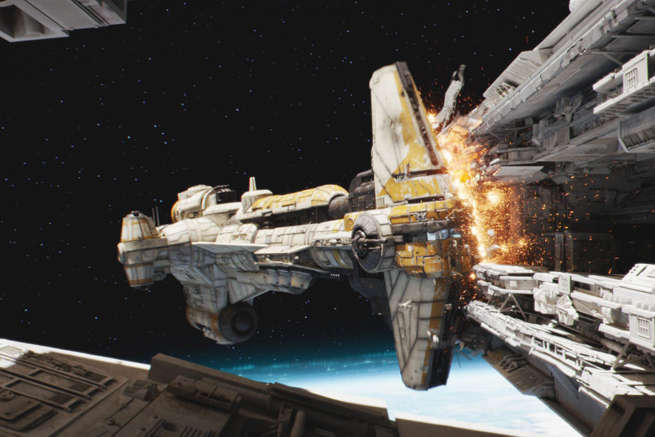 Bringing the Hammerhead in from the old republic era, for example, it then went to the big screen in a pivotal moment in Rogue One: A Star Wars Story. "I think that's when we work at our best though. None of that was contrived. It all came out of necessity and telling stories and linking things up, and John Knoll had that idea to have them utilized in that way, and he's like, 'Would that makes sense?' I'm like, 'Yeah, it sounds great.' They are called Hammerheads, so might as well hit something with them. So yeah, it was really fun. I love the reaction that the audience had to the Rebels things that were in Rogue One. I thought it was really great how powerfully it was received." The long and short of it, then, is this: the old Expanded Universe, now Legends, is well-respected and revered by Dave Filoni and the team at Lucasfilm. It can be pulled from and will continue to be pulled from whenever it makes sense; that's the way George Lucas intended, and will help build an ever-richer world for Star Wars fans new and old. What Does the Star Wars Rebels Reference of Hand of the Emperor Mean?